The ex-government owned Iceland Telecom has been sold. This major player on the Iceland Telecom market was privatized recently and sold to highest bidding Investors. The future prospects of Iceland Telecom’s operations are good and the company has a strong financial and market position, the other main player is OgVodafone. 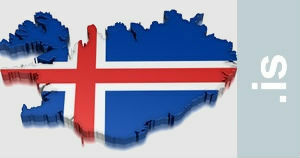 The Telecom market in Iceland has been growing rapidly and usage of GSM, ADSL and other means of communications is one of the highest in the world, so high that companies like Ericsson and Nokia have through the years used Iceland as a test market for new techniques and gadgets.